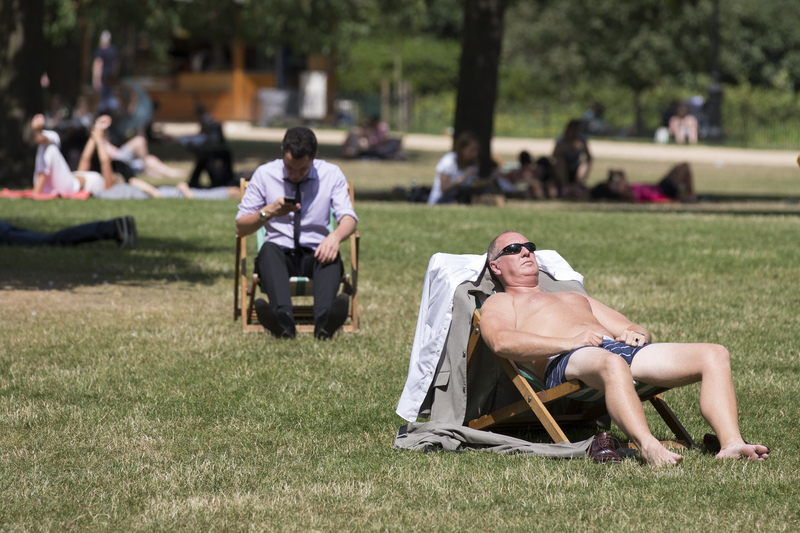 Sometimes it is too hot to be very productive, a circumstance more of us will encounter more often, writes Colin Campbell-Hunt. I write about climate change these days. But you would expect someone who did his PhD in economics and who once chaired the university's department of accountancy and finance to have this question at the back of his mind: What will it cost? Given the uncertainties we face about the magnitude, timing and duration of changes to our climate, and the even more imponderable ways we may try to moderate and/or adapt, this is not a question that can possibly be answered with precision. The best we can do is estimate what might happen for a range of possible futures. For each of these we would like to know two things: what will it cost if we do nothing to moderate rising temperatures by reducing our emissions of greenhouse gases; and what will it cost to keep warming within some target, say 2degC as the Paris Agreement would hope. If the cost of doing nothing is greater than the cost of avoiding the damage, we have the economic incentive we need to act. You can ask a similar question for different target temperatures: what will be the cost of 2degC warming relative to the more ambitious 1.5degC aspiration promoted in Paris, or relative to the 2.5-3degC that is probable if countries only deliver the carbon reductions they offered in Paris. A paper in last month's issue of Nature, the leading science journal, gives us a partial and tentative peek into these cost comparisons. Researchers at Stanford University, in California, asked themselves what might be the effect of rising global temperatures on the gross domestic product (GDP) of 165 countries, and the world as a whole, by the end of the century. The answer is of course, "that depends". It depends on many things, and the Stanford team focus on just two: how far will we let global temperatures increase - 1.5degC, 2degC or 2.5-3degC? - and what will be the effect of each of these on a country's GDP per capita? What the Stanford researchers do for each of these scenarios is estimate the effect of warming using the quite remarkable historical relationship between a country's economic activity and its average temperatures. This is probably well known to economic geographers, but it was a surprise to me. As always, the relationship is imprecise, but clearly suggests an optimal temperature for economic activity (at least of the kind we have now) somewhere between 10 and 17degC. The vast majority of today's economic activity happens within this range, with a strong preference for countries between 12 to 15degC. Countries cooler and hotter than this optimum are likely to have per capita GDP up to 15% lower. In New Zealand, the average for the South Island is 10degC, for the North 15degC. So as the climate warms, we might expect cooler countries to move towards the optimum zone, and countries that are now optimum to be pushed into a warmer zone where economic activity is now weaker. How far they can go before GDP is damaged depends (that word again) on exactly where the optimum for economic activity currently lies. If the optimum turns out to be around 10degC, a warming world will damage economic activity harshly. An increase of 2degC above pre-industrial levels would reduce global GDP per capita by a quarter by the end of the century relative to a no-warming scenario. But if the optimum is warmer at 17degC, there would be little economic damage at all: our current economy would already be well adapted to a warmer world. But that is an unlikely scenario. For all but the warmest optima, a world that is 2degC warmer will damage global GDP, and damage it more if temperatures rise even higher. So how far will we push our luck? Will we manage to keep average temperatures to no more than 2degC above pre-industrial levels? Or even only 1.5degC as the Paris Agreement bravely targeted? Or the 2.5 to 3degC that is likely if countries only do what they offered to do in Paris? The Stanford study estimates that if we manage to keep global warming to just 1.5degC the damage to global GDP is very likely to be less than for 2degC of warming. Seventy-one percent of countries, representing 90% of the global population would be better off, poorer countries benefitting most. If we go beyond the 2degC target, the economic damage gets worse: a reduction of somewhere between 15-25% in global GDP per capita relative to a no-warming world if we only do what countries have so far said they would do in Paris, and more than 40% if temperatures rise by 4degC by the end of the century. In the Great Depression of the early 1930s economic activity fell by just 15%, so these futures are ones we badly want to avoid if we can. These calculations greatly simplify what will be much more complicated responses to a warming world. To mention just two, the historical relationship between GDP and a country's temperature is a simple correlation; it does not explain the many ways in which rising temperatures will influence GDP. If those ways change, so will the historical relationship between temperature and GDP. Second, the relationship assumes that the historical structure of today's GDP will stay the same as the world warms, and of course it will not. So these estimates are partial and tentative. We will need to do better. What of the effect on individual countries? Not surprisingly, keeping increases in global temperature to a modest 1.5degC will be particularly helpful to countries around the equator that are already hot, and slightly beneficial to those with moderate temperatures, including New Zealand. Paradoxically, countries that are already cold - Canada, Scandinavia and Russia - would be better off if the world got hotter. Might this influence their willingness to keep carbon emissions under control? A report this month by a consortium of climate research institutes ranks Canada 7th out of the seven G7 advanced economies for doing least to end support for oil and gas production. Russia used to be a member of the larger G8 club, but was excluded for its annexation of the Crimea. And the OECD told us earlier this year that countries around the world gave away somewhere between $US373 and $US473 billion in 2015 in subsidies to producers of fossil fuels. The IMF reckoned the number was more than $US5 trillion. The good news is that in 76 countries the subsidies are going down. And New Zealand has of course decided to restrict exploration to areas where it is already licensed. As Winston Churchill might say, this is not the end of the war on carbon; it is not even the beginning of the end; but it is perhaps the end of the beginning. Colin Campbell-Hunt is an emeritus professor at the CSAFE Centre for Sustainability, University of Otago. Each week in this column, one of a panel of writers addresses issues of sustainability. Greenland is already looking to opt out of the Paris Agreement because of the huge economic benefits it's experiencing from the thawing of its ice cap. Similarly, great swathes of the Russian tundra are set to become the world's bread basket.